Housemarque already had my heart as the creators of Super Stardust. 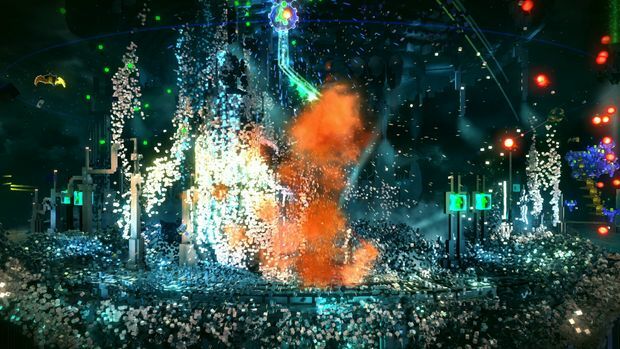 Their latest, PS4 launch title Resogun, shares some of Stardust’s spirit, but it’s a new experience -- a shoot-em-up in a cylindrical loop, built entirely from thousands of voxels. Aliens have invaded. They’re taking the last of the humans. Everything needs to be blown up. Everything. 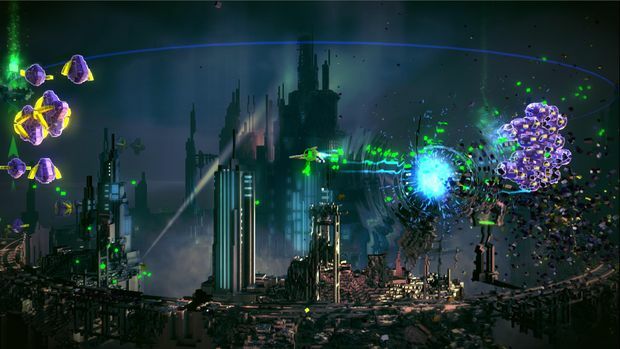 In Resogun, players are free to move either left or right through the five cylindrical stages, working to blow up every alien in sight, all while dodging the galaxy of debris bits and projectiles flying about. Between the oncoming waves and the debris they leave, you’re constantly navigating through near chaos, forced to watch your front and rear as attackers can come from either direction. While managing all of that, you’re also responsible for saving the last of the humans from the invading aliens. They’re held captive in each stage, and the only way to free them is to kill a specific type of enemy called a Keeper. When freed, you need to scoop them up and bring them to safety, all while holding back the attacking hordes of enemies. If not saved, humans will be killed after a time. But successfully bringing them in to rescue ports brings you big score bonuses as well as power perks, like bombs or extra lives. Killed enemies release green voxels that can be collected to boost an Overdrive ability. This invincible blast pulverizes enemies and everything around them, and it’s as beautiful as it is powerful. Each of the five stages is made up of three phases, with a boss battle capping the stage off. These bosses are so big that the top of the cylinder is raised to fit them in. They’re dazzling piles of pulsing voxels that throw all manner of projectiles at your little ship. Each is its own challenge and visual treat. While Resogun is easy to get into, some of its systems and unique features provide plenty of depth to welcome you back in for return visits. I initially used the Boost ability to blast out of harm’s way, but when I later learned that I could use it to blow through enemies to kill them, Boost turned into an offensive move for me. And later, when I realized that boosting through enemies recharges the boost meter, it added another layer of depth to the ability. Successive kills increase a score multiplier, with each adding on tenths of a point, topping out at five times. I learned to pace my movement to always have another kill within reach to keep the multiplier topped off. I learned to watch through the play field to see what would soon be approaching from the back of the cylinder to keep the multiplier up. Resogun is absolutely gorgeous, running at full HD at 60 frames per second. When the sparks start flying, prepare to lose yourself in its splendor. Your ship stays in an unending shower of particles and lighting effects, from beginning to end. I consider the distracting beauty of this game as part of the challenge. Using your Overdrive ability for the first time is an experience for the eyes, but that’s nothing compared to seeing the remaining stage explode in slow motion after finishing off the bosses. They call it Armageddon. Every enemy, from the smallest grunt to the big path-blocking beasts, is a sight to behold. They’re all impossibly colorful and impeccably animated, to the point that they’re almost distracting. 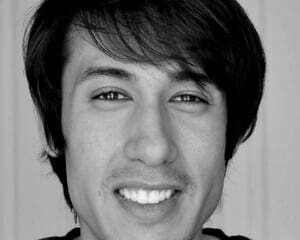 I expect to see the PS4’s screenshot function to be put to good use by Resogun players. 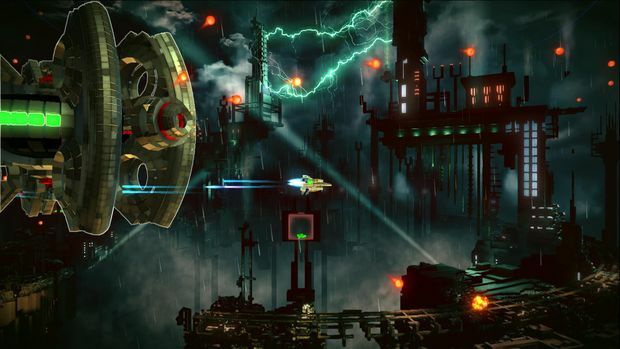 The musical score of Resogun is just as electric as its visuals are. Tense, high tempo pieces are a perfect underscore to the crazed action onscreen. None of the songs are as flashy as the gameplay and visuals are, but they work to tie the whole audiovisual package together beautiful, and all of them will have your head bobbing. 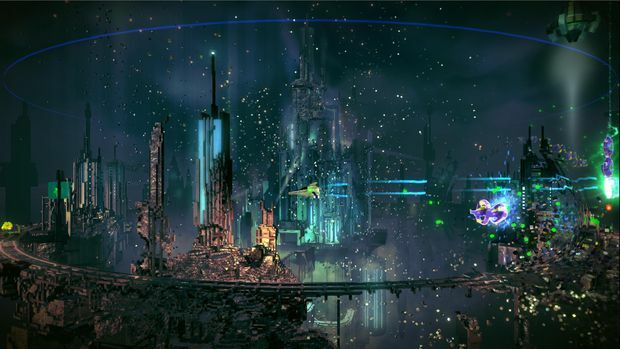 Resogun has so much style that it hurts. From the hypnotic way enemies materialize to how they’ve synchronized the controller’s speakers with the in-game audio for score and bonus prompts, Resogun will stand out as the coolest game on the PS4 at launch. This is not an easy game, though. 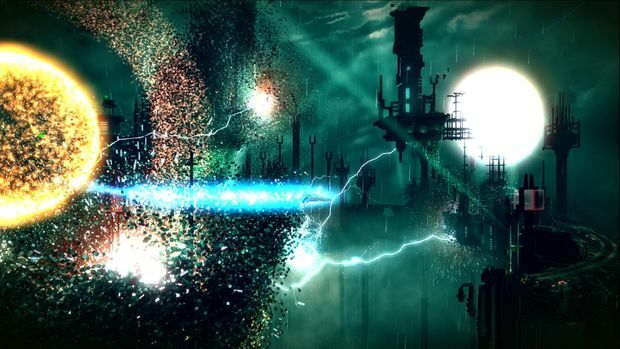 Resogun is easy to pick up and learn, but playing it well is something you'll have to work up to. Playing without dying is the first step, followed by attempting to understand the depth of its systems. Casual players may be overwhelmed by the challenge at first.